Jul 18 2018 - In the run-up to the negotiations under the United Nations Framework Convention on Climate Change (UNFCCC) in its 21st Conference of Parties (COP21) in December 2015, one of the most politically contentious issues was whether the limit of the long-term global temperature rise should be kept at 2 degrees centigrade or changed to 1.5 degrees. Bangladesh, as part of the Least Developed Countries (LDC) Group of Negotiators under the leadership of Angola, and also the Climate Vulnerable Forum (CVF) under the leadership of President Aquino of the Philippines, was very active in advocating for a change to 1.5 degrees. However, there was strong initial resistance from the developed countries as well as large developing countries such as China and India, and also the oil-exporting countries led by Saudi Arabia. 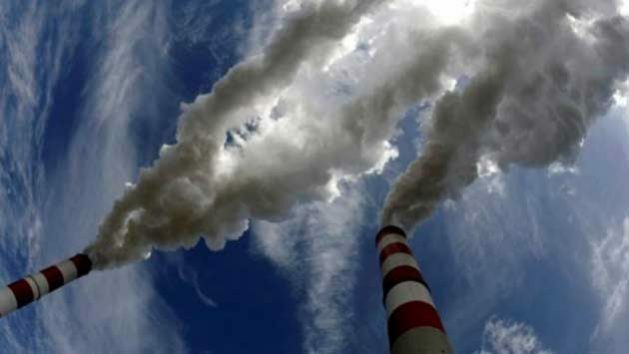 The specific technical argument they used was the need for more scientific studies and wanted the topic passed on to the Intergovernmental Panel on Climate Change (IPCC) to produce a special report which would take several years. However, by the end of COP21, we were able to convince all the countries to include 1.5 degrees as an aspirational goal with the main goal being “well below 2 degrees” in the Paris Agreement on Climate Change. This was a major victory for the vulnerable developing countries including Bangladesh. In the meantime, the IPCC did indeed go ahead with the preparation of the Special Report on 1.5 degrees over the last few years, and a draft final report has been prepared which is expected to be finalised for dissemination in October at the IPCC Plenary. However, the draft final report has been leaked and is already available, even though it is yet to be finalised and endorsed by the IPCC. Based on this leaked report, I am going to share some key messages which are unlikely to change in the final official version in October. The first finding is the difference in global impacts for 2 degrees versus 1.5 degrees. They have shown that the additional cost of climate change impacts will be over USD 10 trillion globally over the next few decades, and that these adverse impacts will be worst in certain locations and groups. The greatest hotspots are West Africa and South Asia, and within the latter category, coastal Bangladesh will be a major hotspot that will lead to tens of millions of people being forced to migrate. The second assessment made by the IPCC is how feasible the goal of staying below 1.5 degrees is. The answer is that it is still possible to do so but it will require the current efforts to reduce emissions to not just be doubled but redoubled. This particular result will be a key issue in COP24 to be held in December 2018 in Katowice, Poland, where the issue of raising ambition and measuring, verifying and measuring progress is expected to be agreed on. The third and final topic which is addressed in the report is the emerging realisation globally that not only is zero emission going to be possible, but it may in fact be very profitable for companies engaged in providing sustainable energy solutions to replace fossil fuels-based energy. Hence, more and more countries are planning to bring forward their respective goals of reaching zero emission which is what is needed to stay below 1.5 degrees. In conclusion, the IPCC Special Report on 1.5 degrees, which we expect to be finalised and released in October, is likely to feed into COP24 in December in Poland. Hence, Bangladesh and other vulnerable countries have to ensure maximum pressure on all countries to raise their levels of ambition in order to keep global temperature rise below 1.5 degrees. Saleemul Huq is Director, International Centre for Climate Change and Development at the Independent University, Bangladesh (IUB).